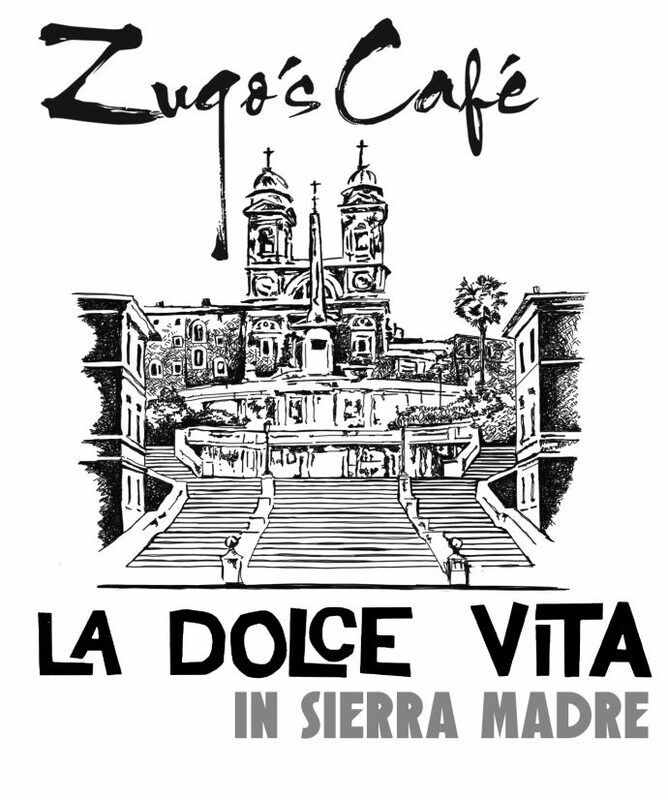 Zugo’s Cafe is an Italian restaurant in downtown Sierra Madre, CA. Inspired by the street the owner grew up on in Rome, I designed their marketing materials, incorporating a strong calligraphic script for their logo. 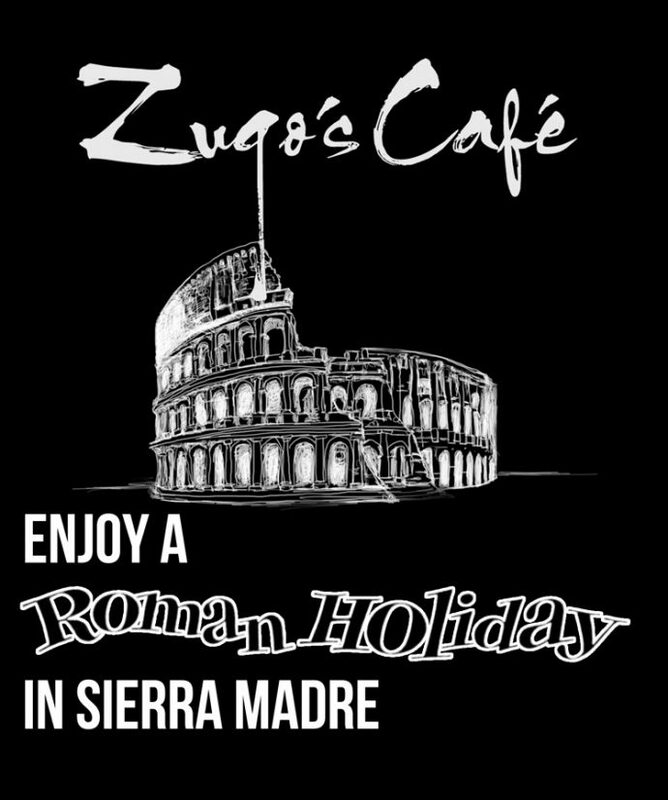 The owner of Zugo’s Cafe was born and raised in Rome, and many of their dishes are Roman specialties. 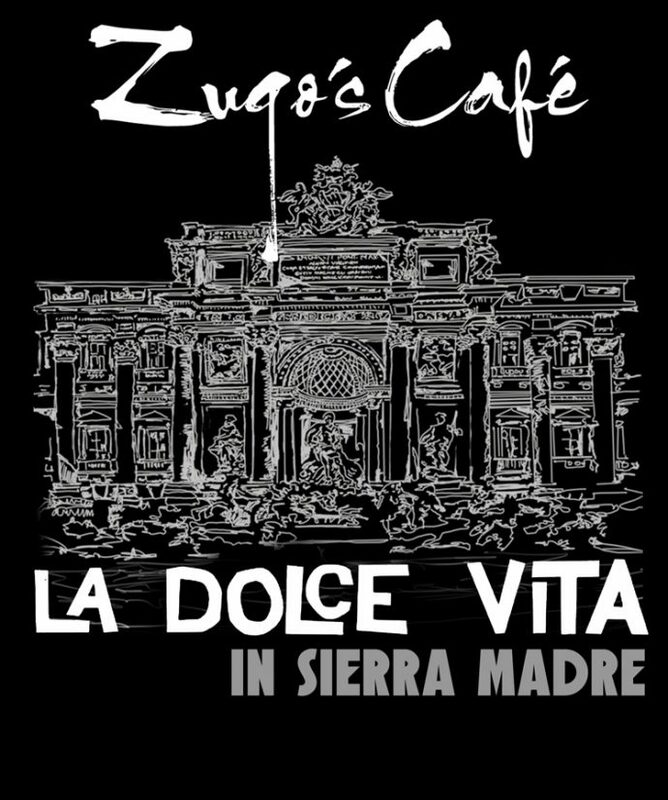 When I was asked to come up with an ad campaign, I reimagined posters for movies such as Roman Holiday and La Dolce Vita to include Zugo’s. 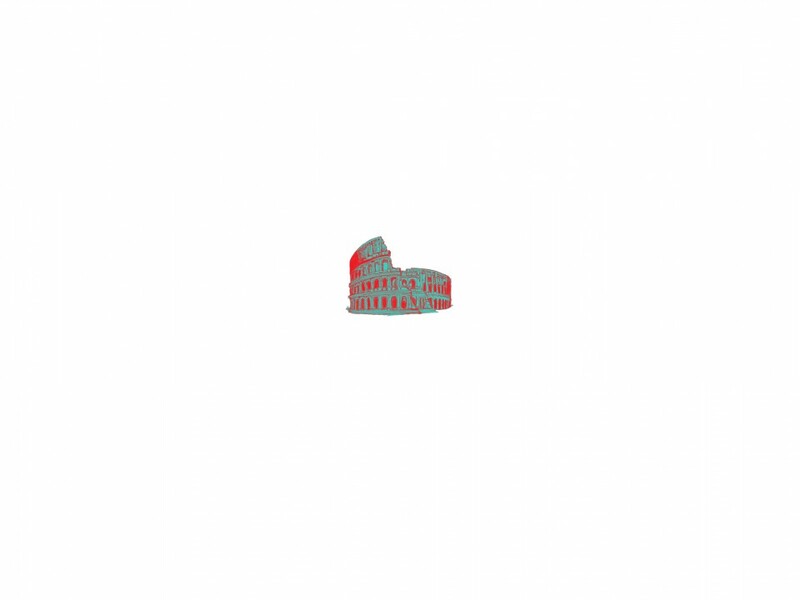 I drew the background images digitally in Photoshop.